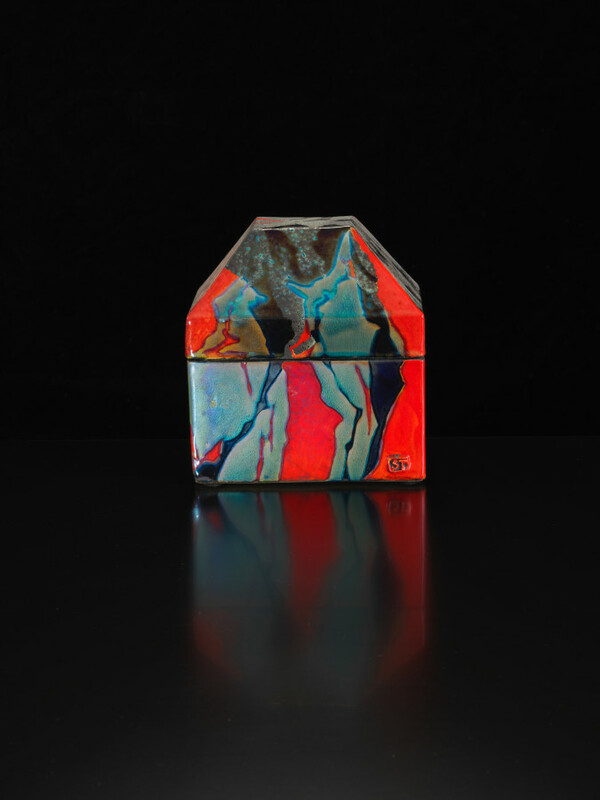 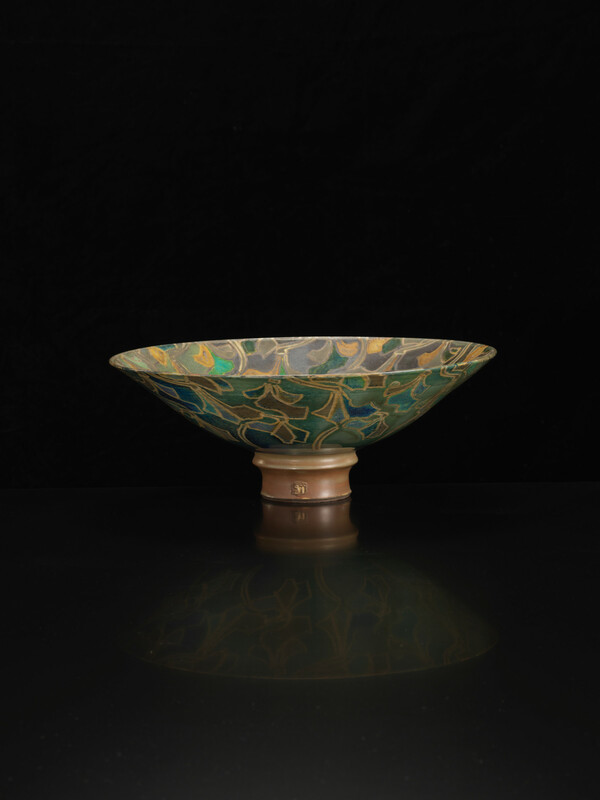 Sutton Taylor’s vivid and shimmering lustres have become a very distinctive part of British studio ceramics in the last forty years. 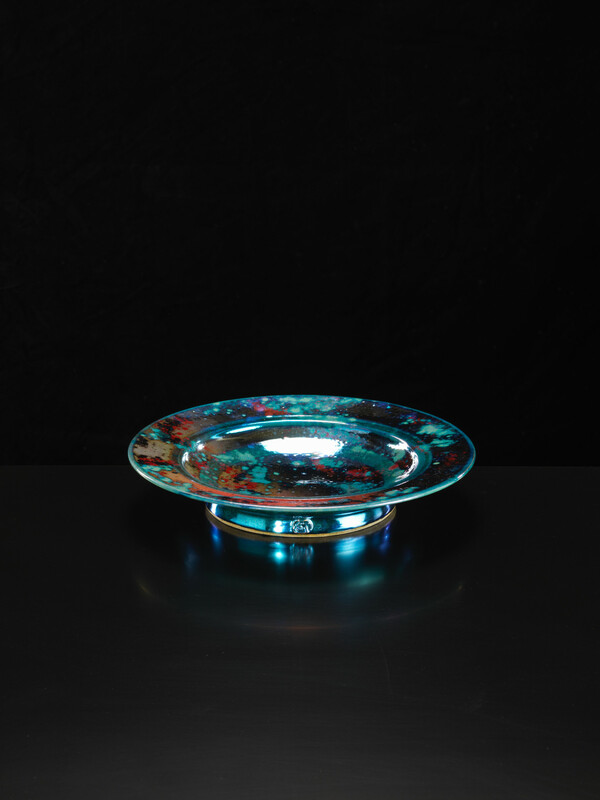 They epitomise the decorative opulence and sensuality, the technical mastery that can be achieved in this medium. 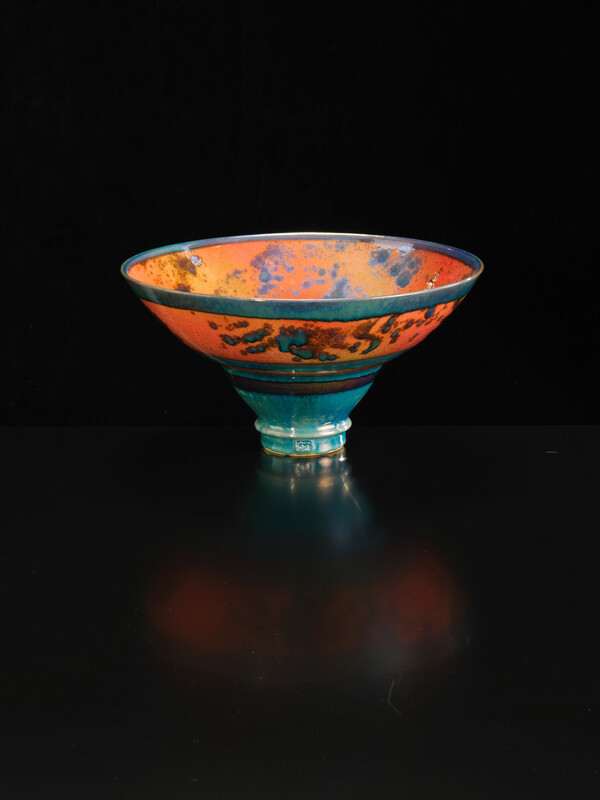 He began working in lustre in the mid 70s, just when more vibrant colours were beginning to emerge in British ceramics, though Taylor’s pots were still relatively muted at this time. 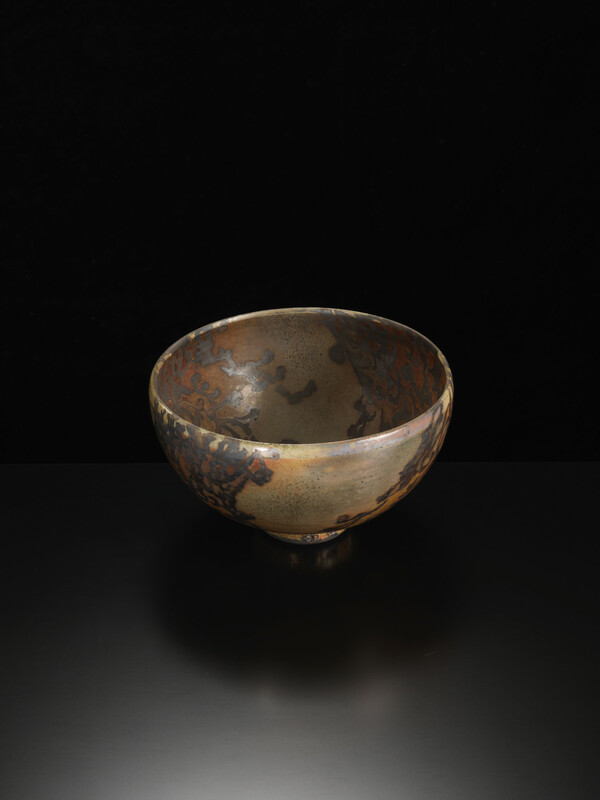 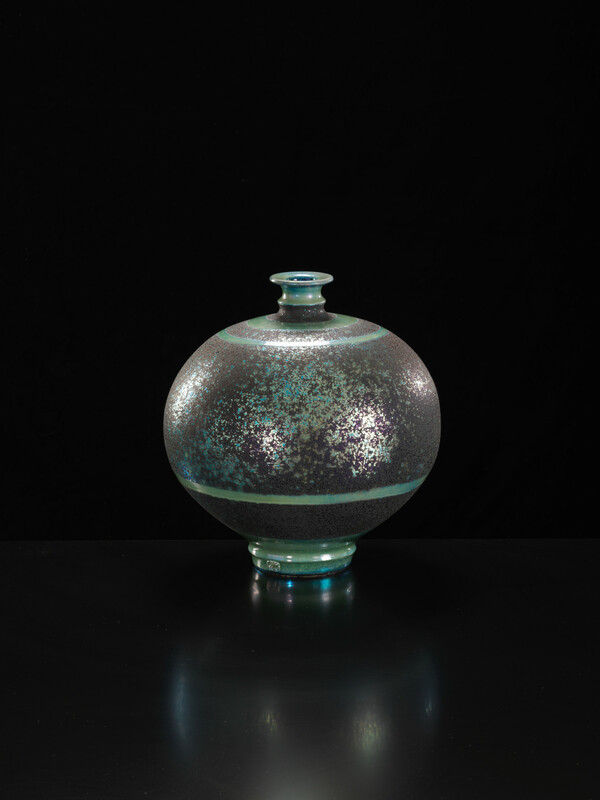 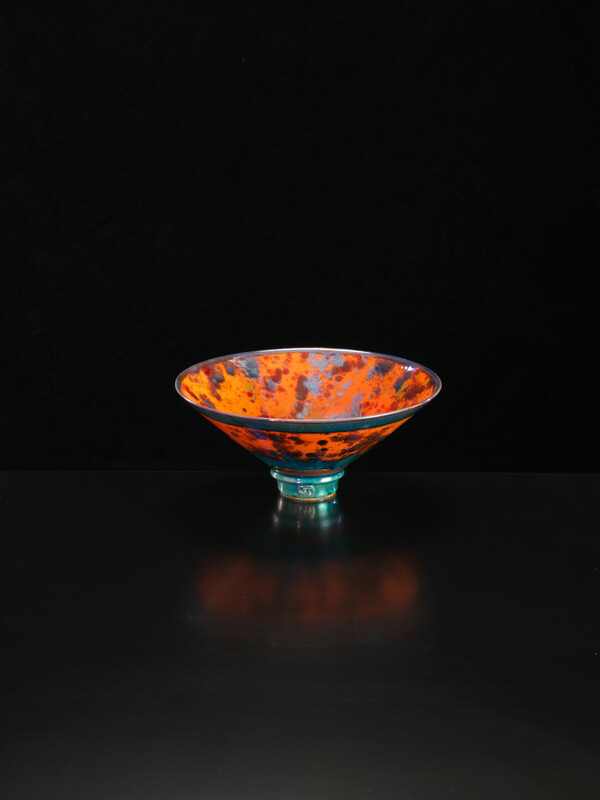 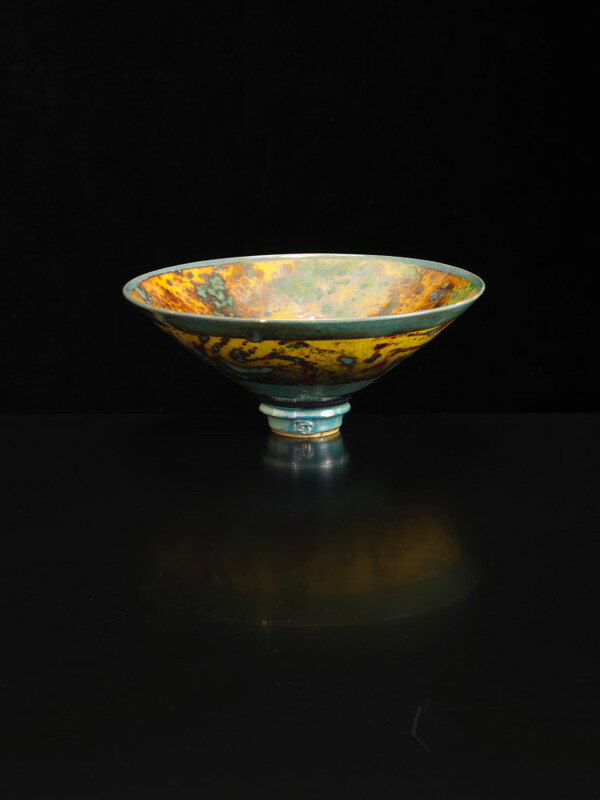 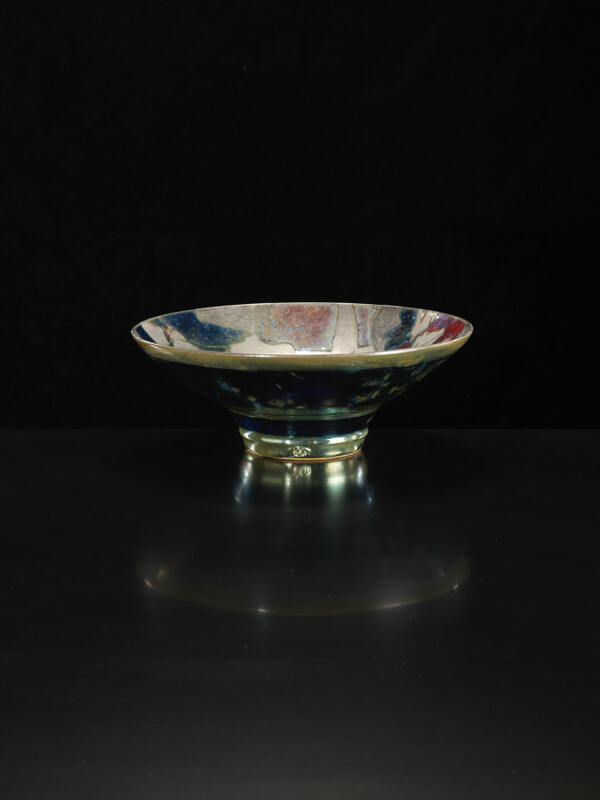 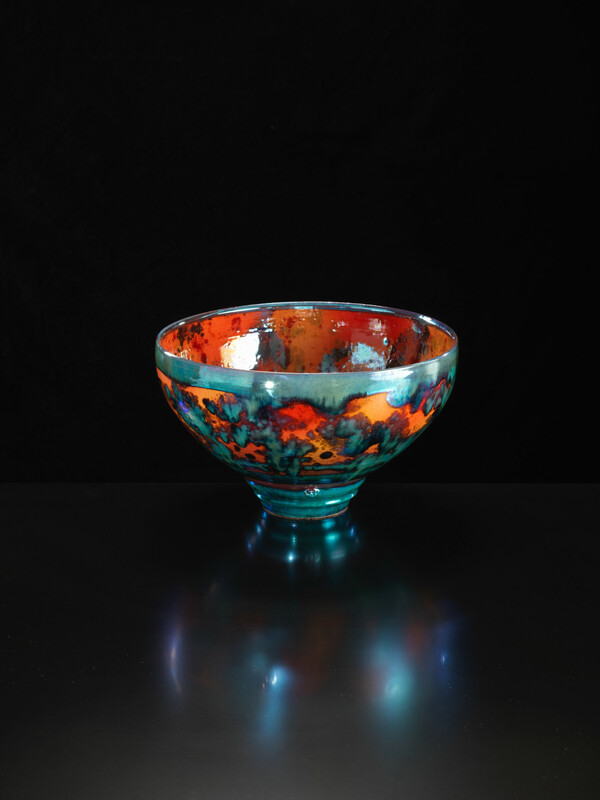 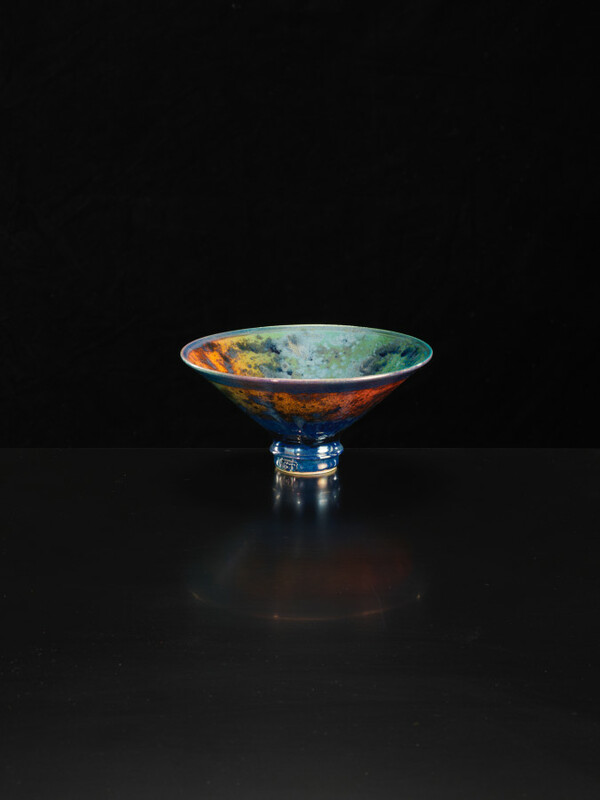 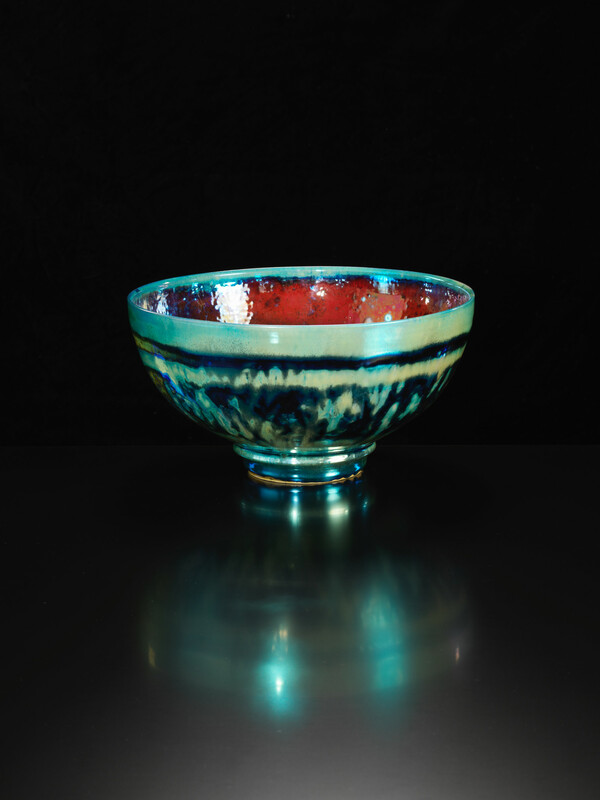 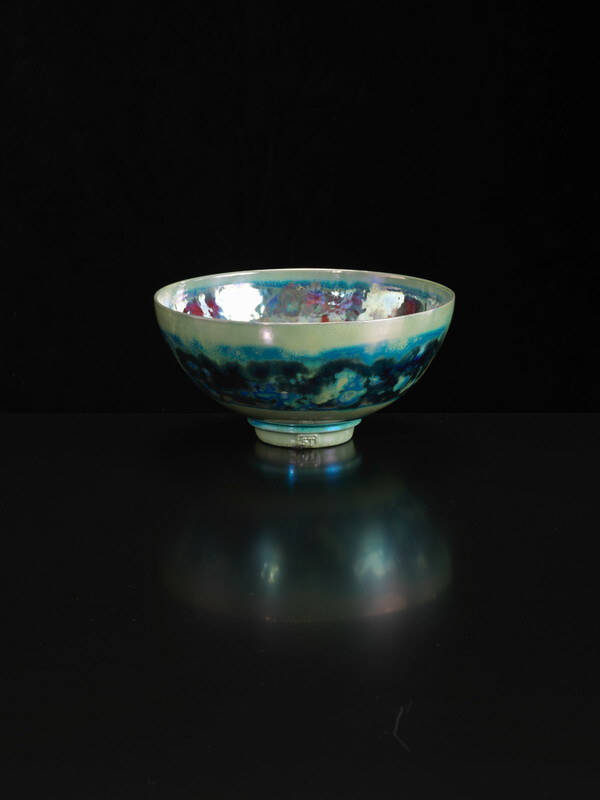 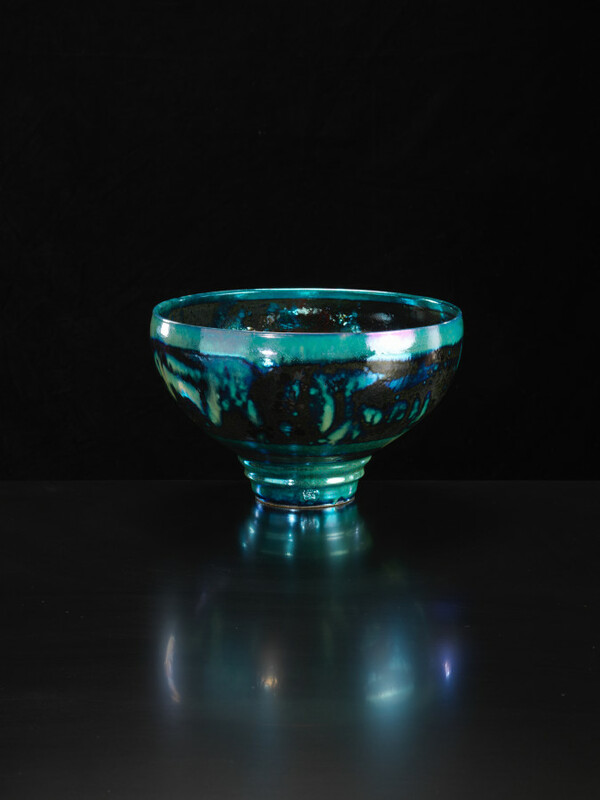 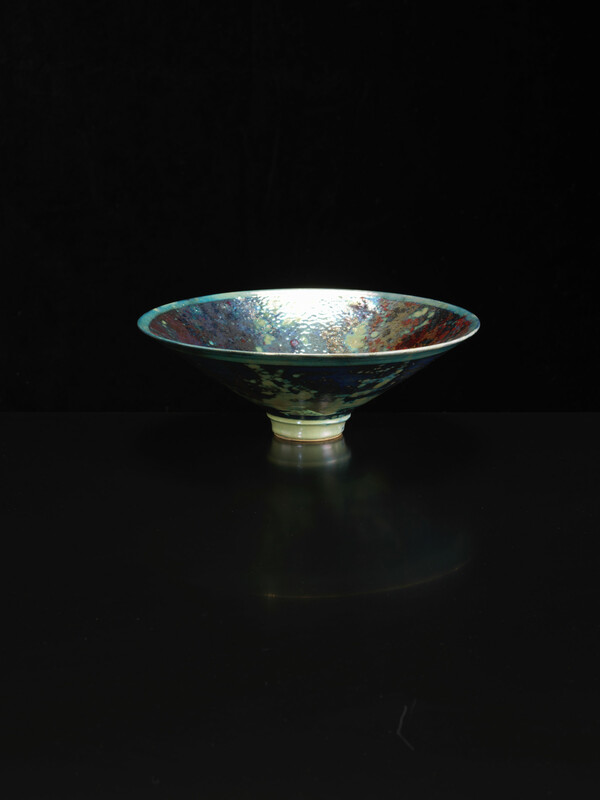 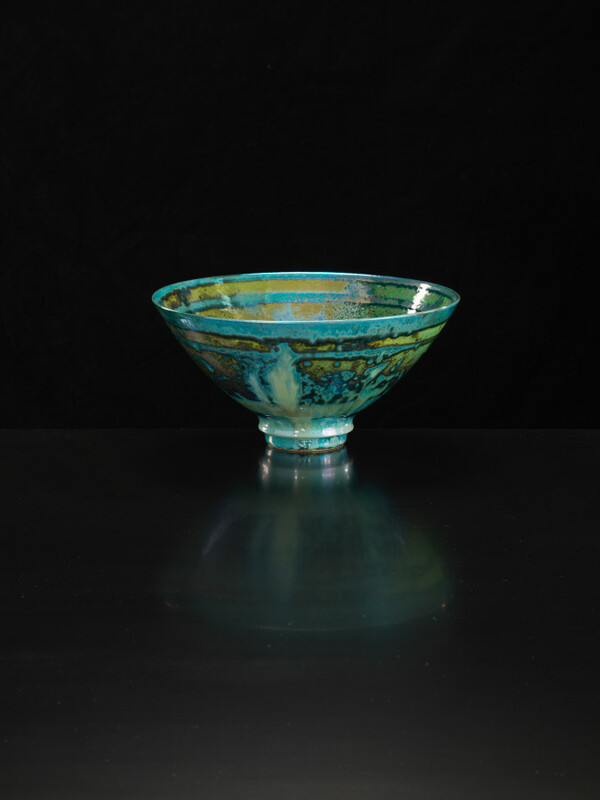 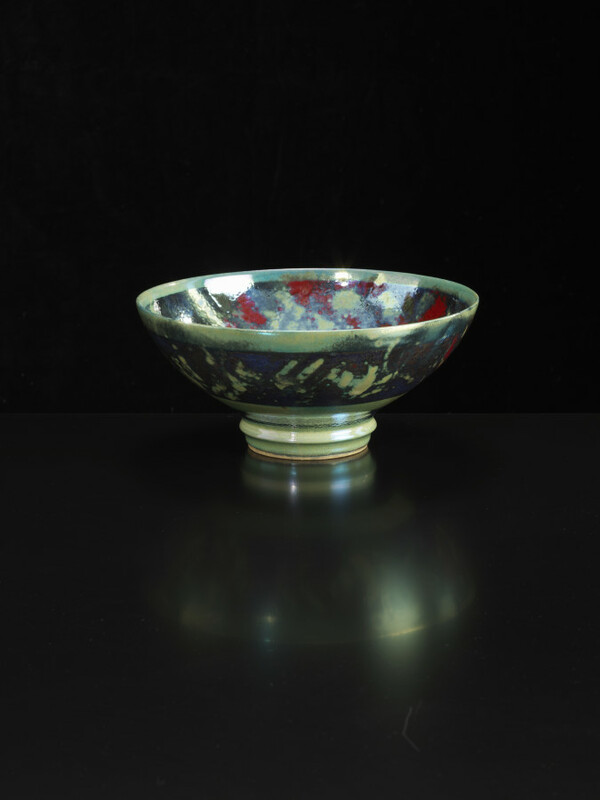 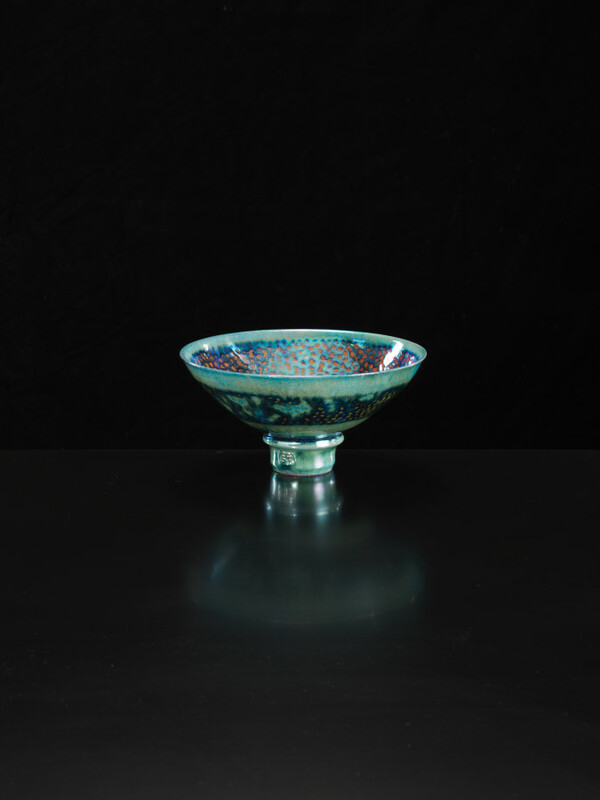 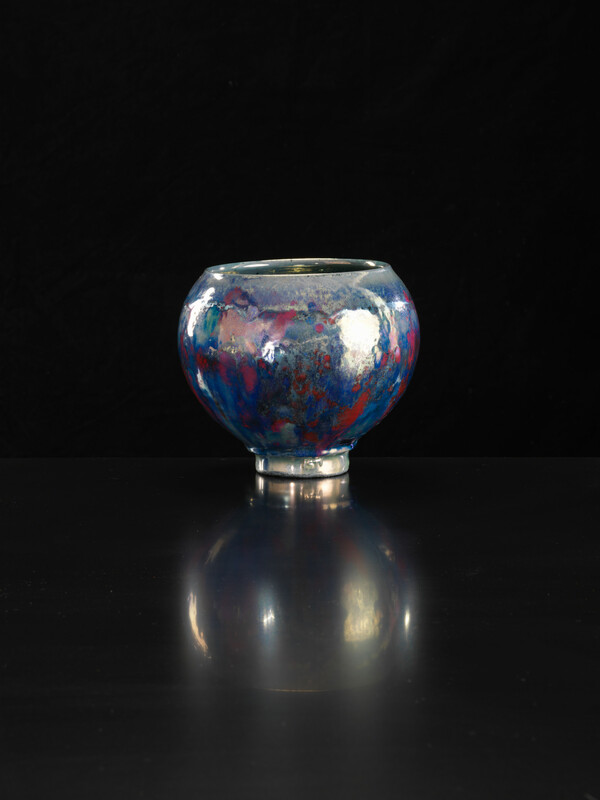 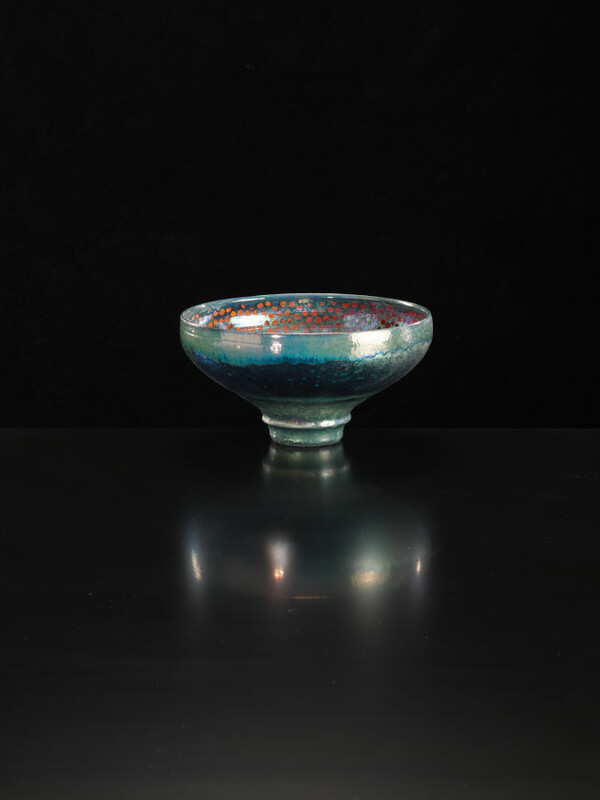 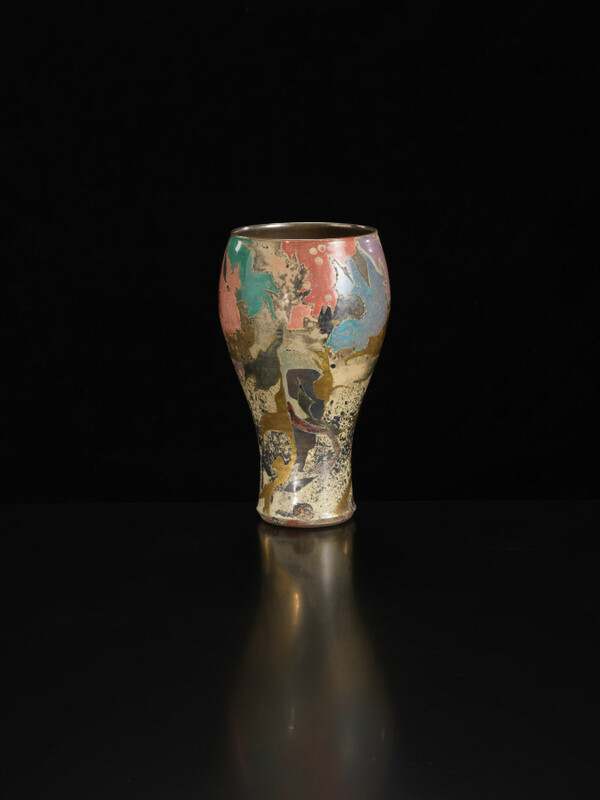 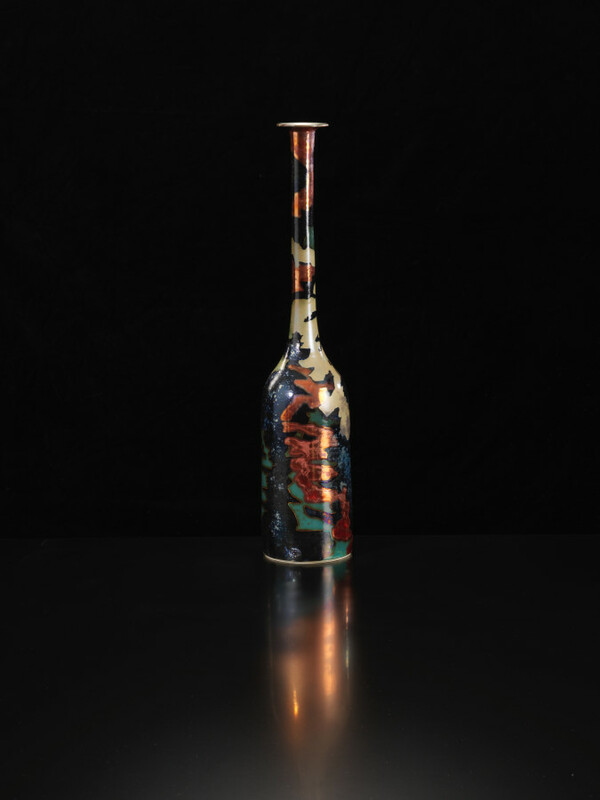 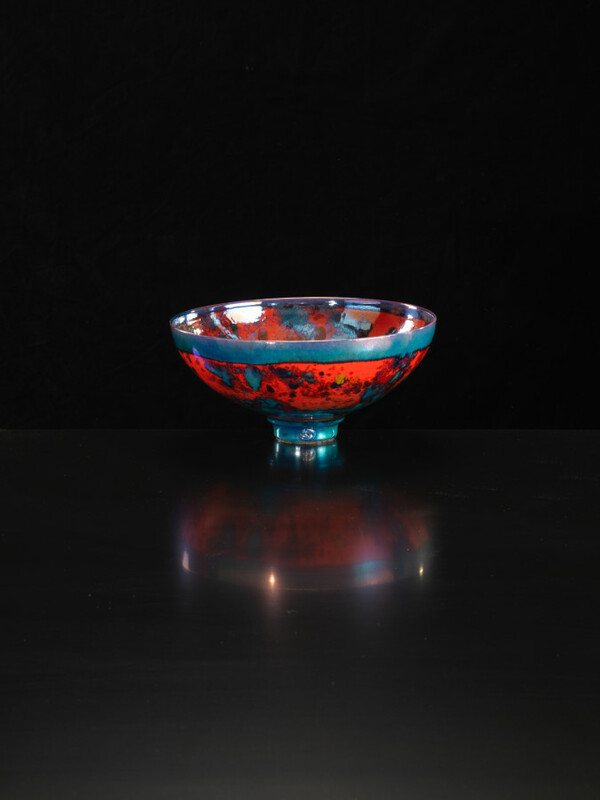 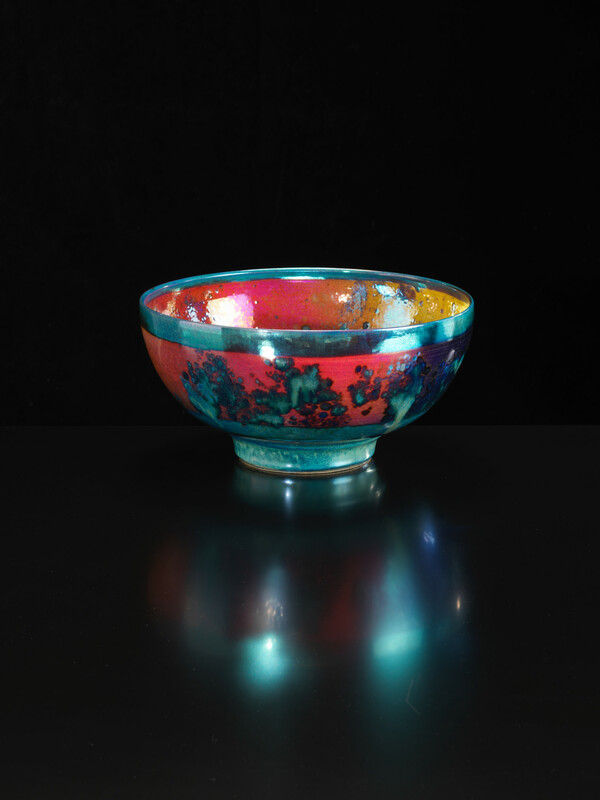 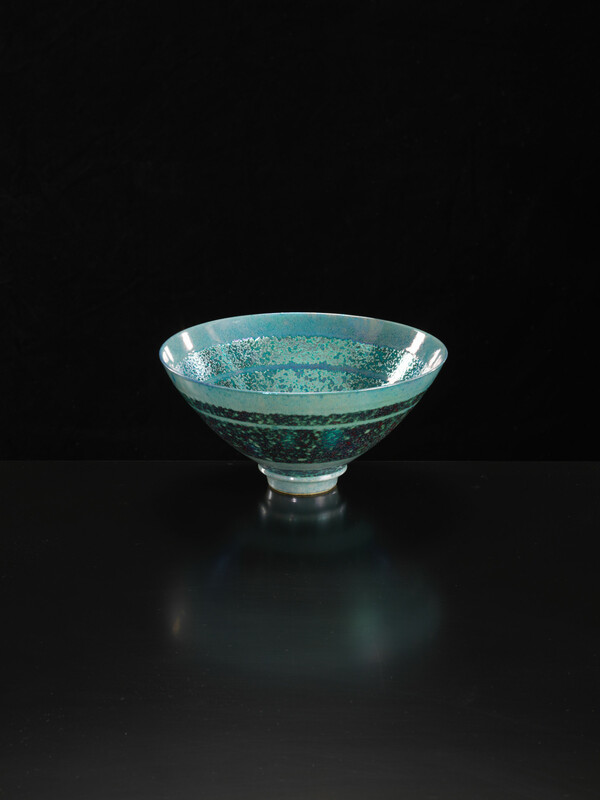 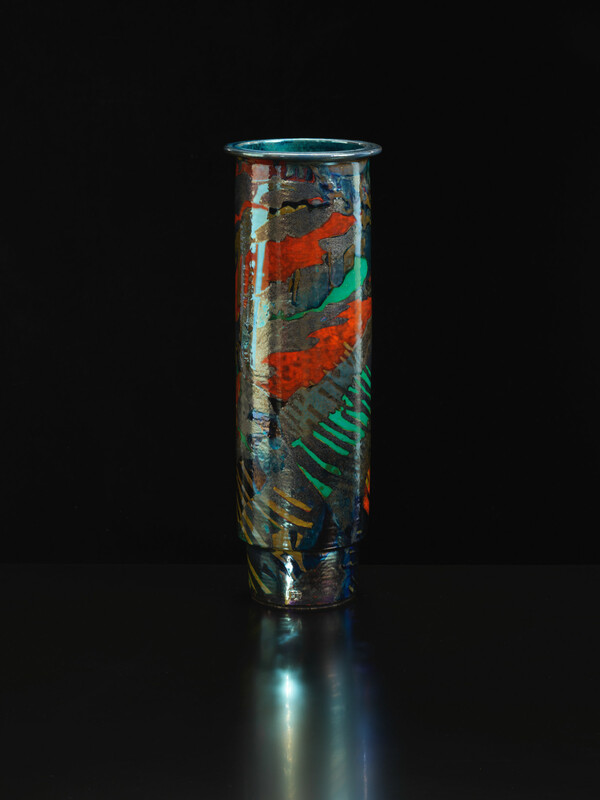 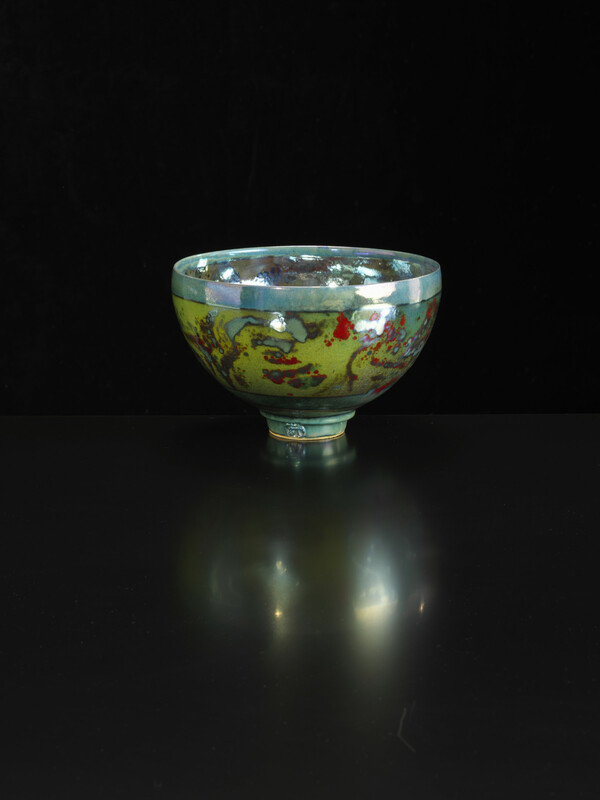 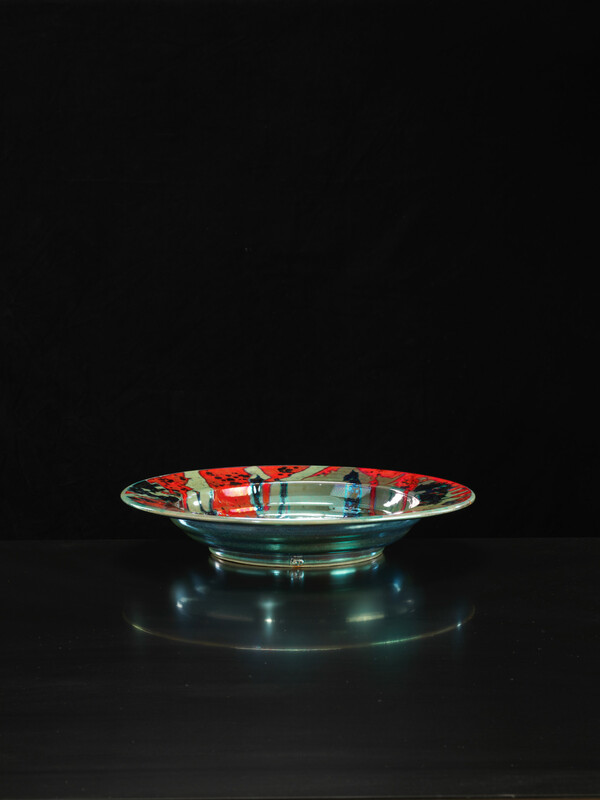 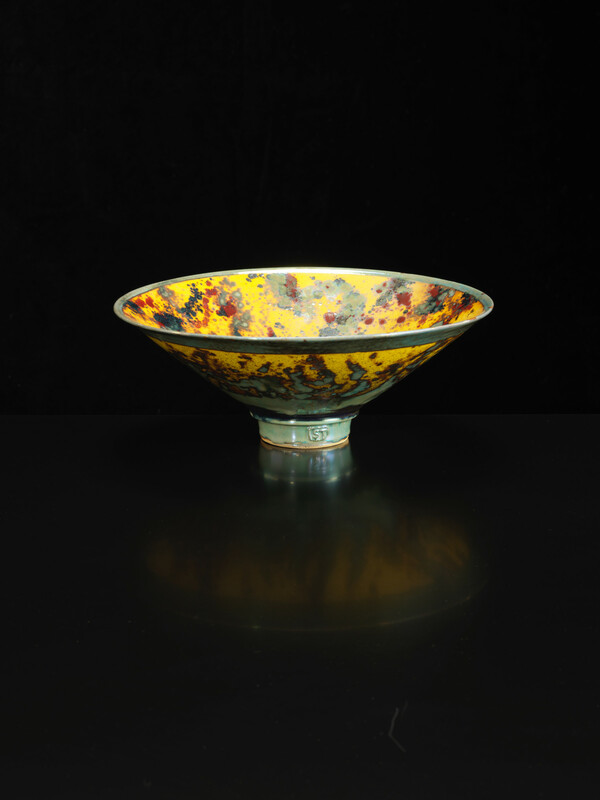 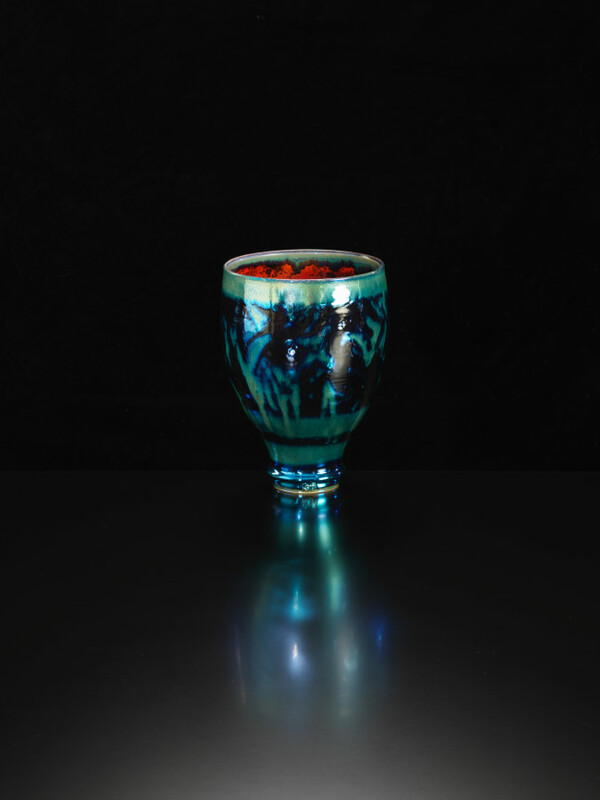 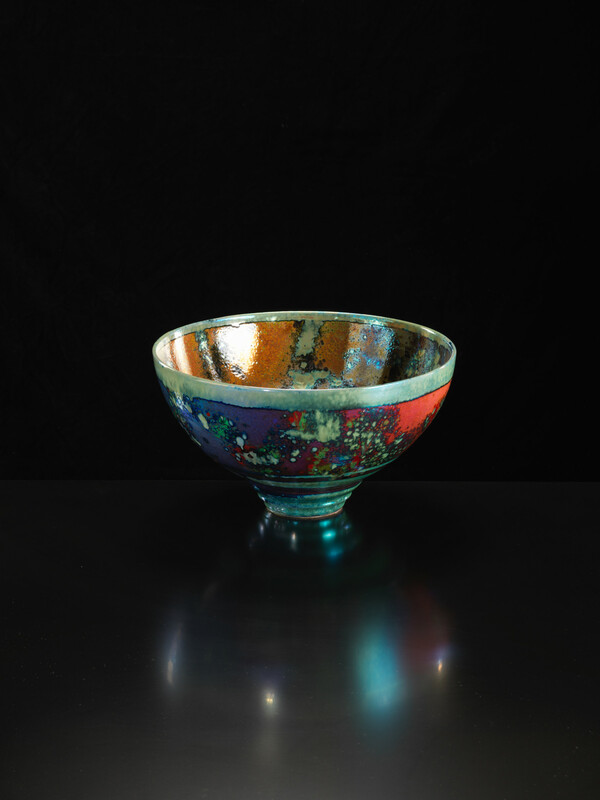 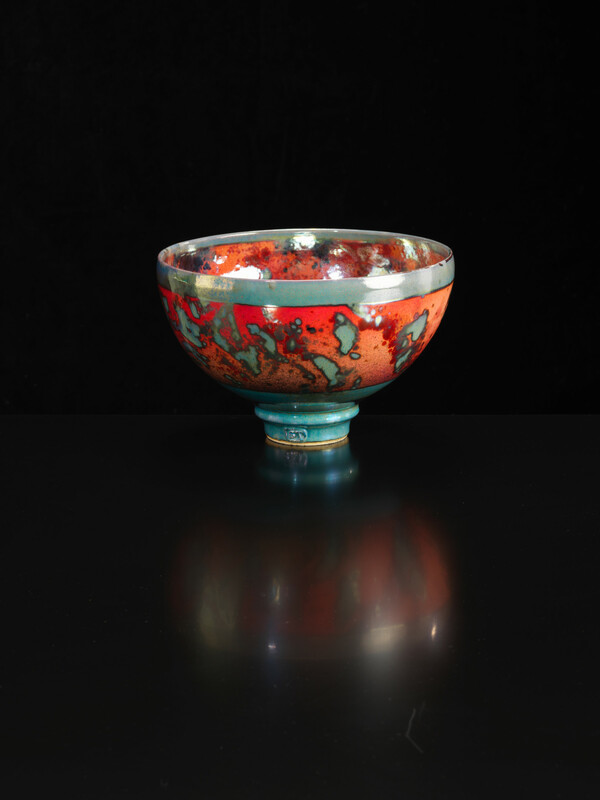 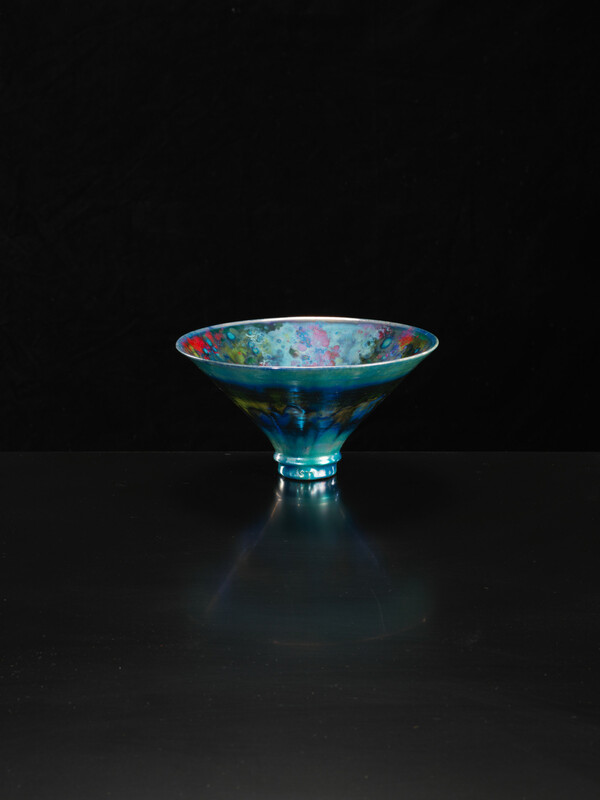 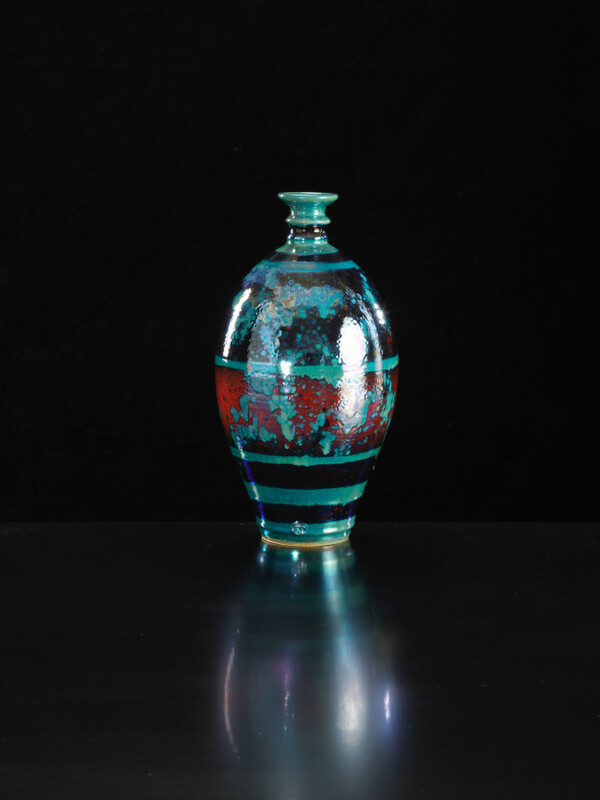 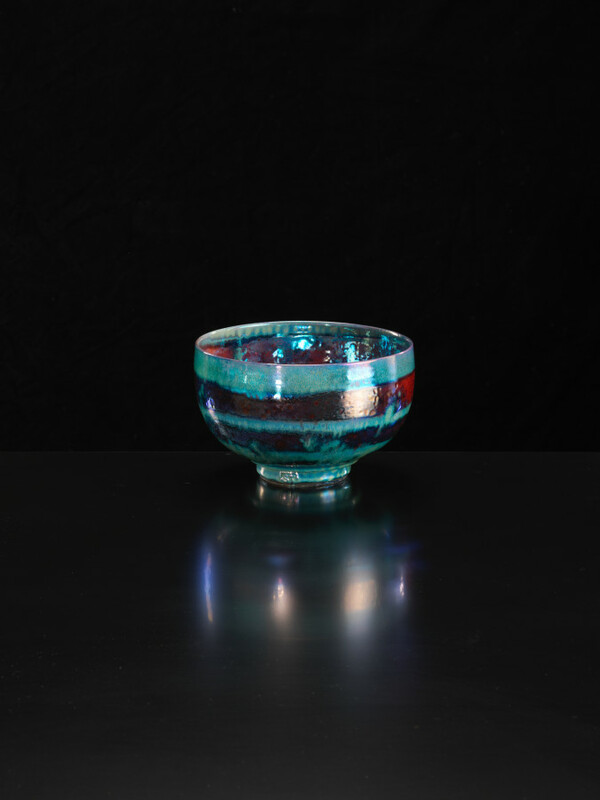 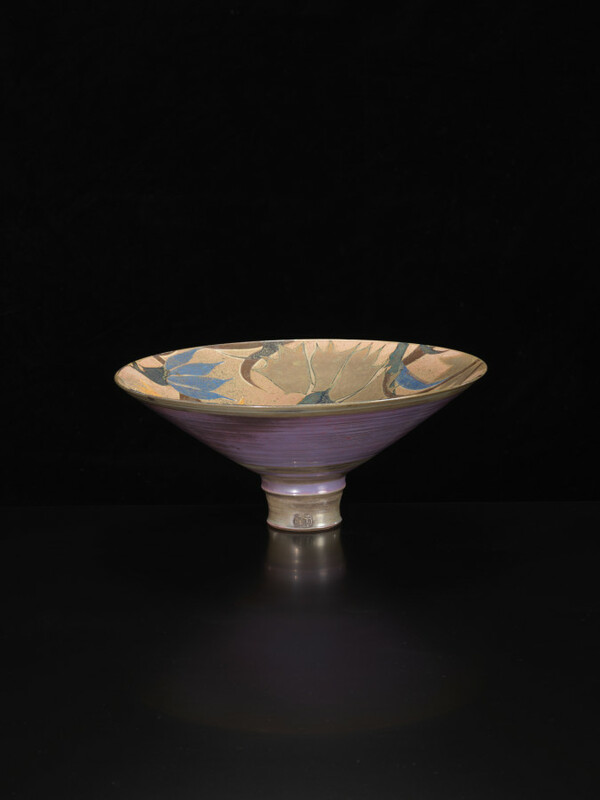 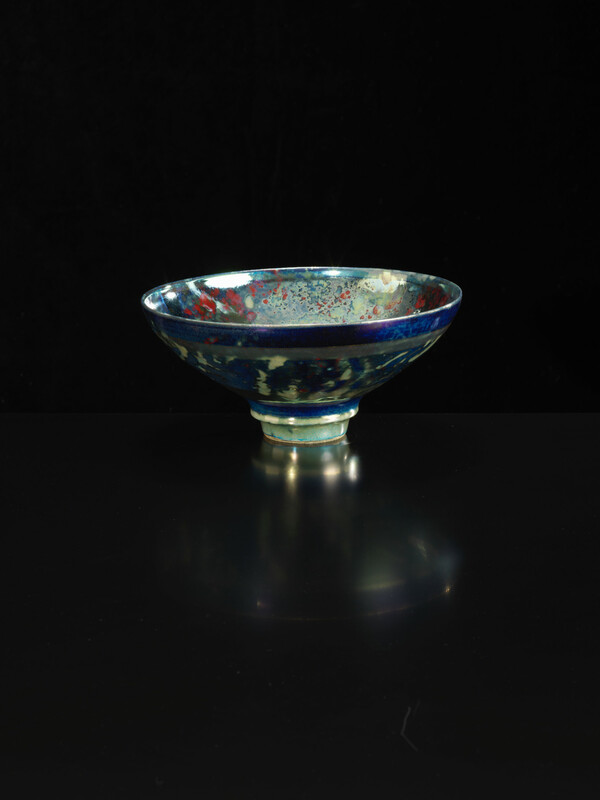 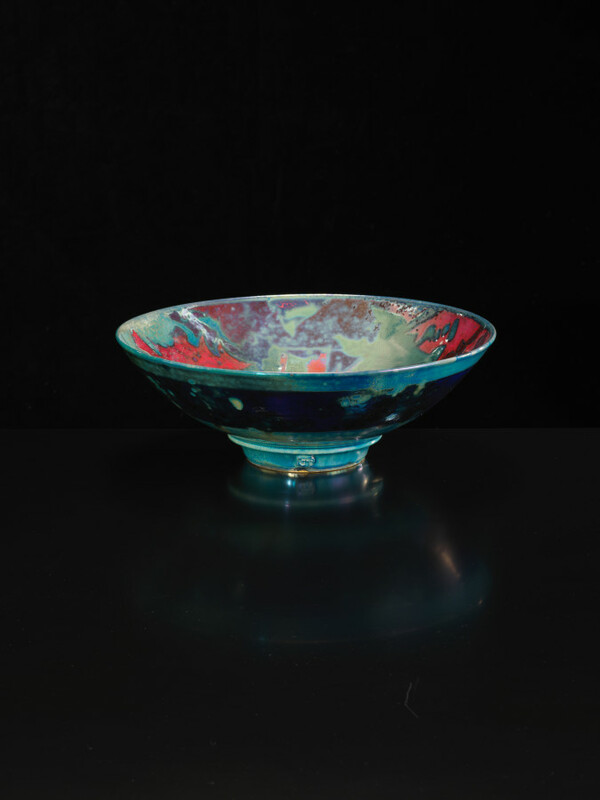 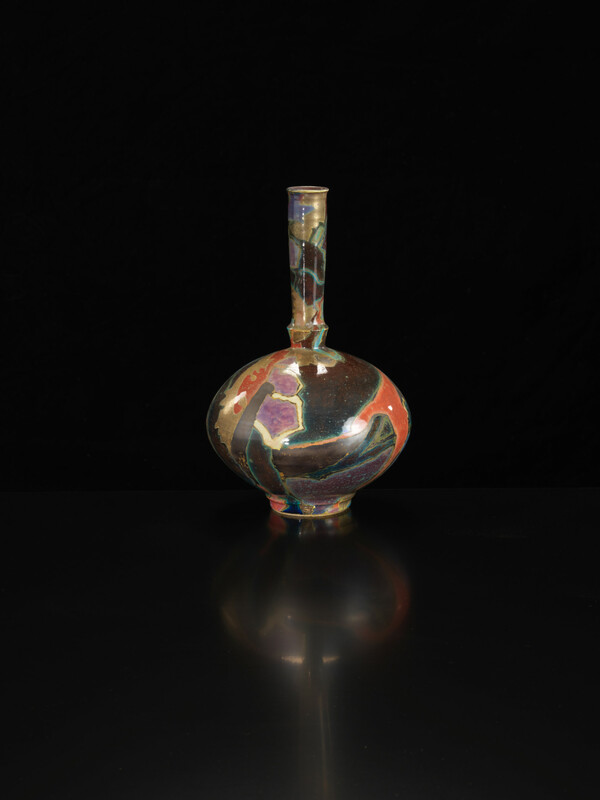 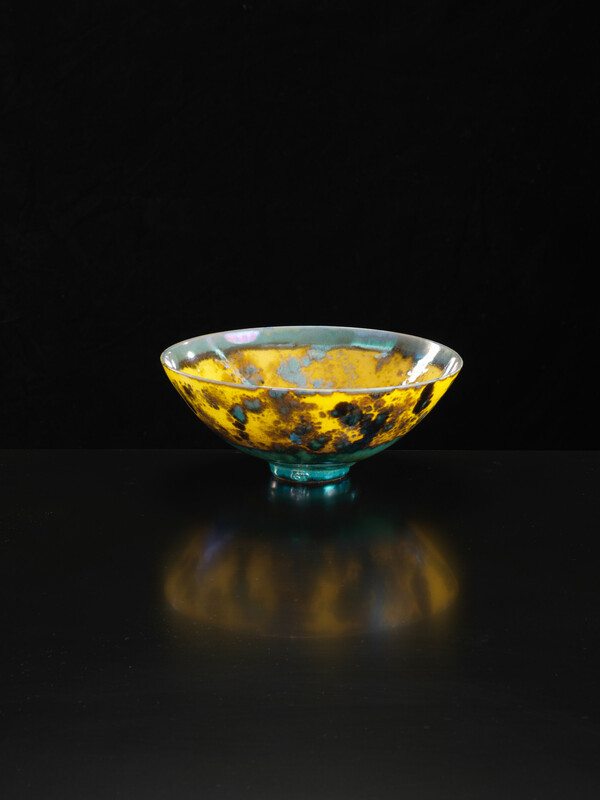 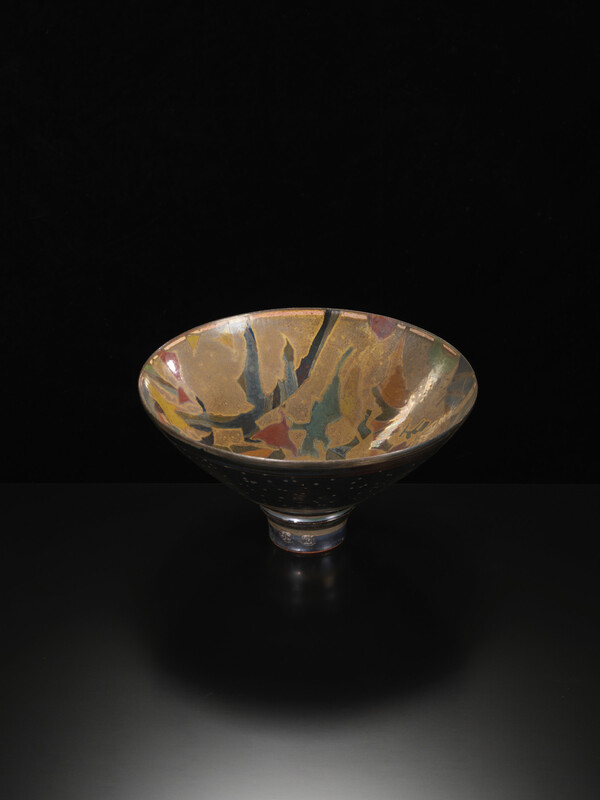 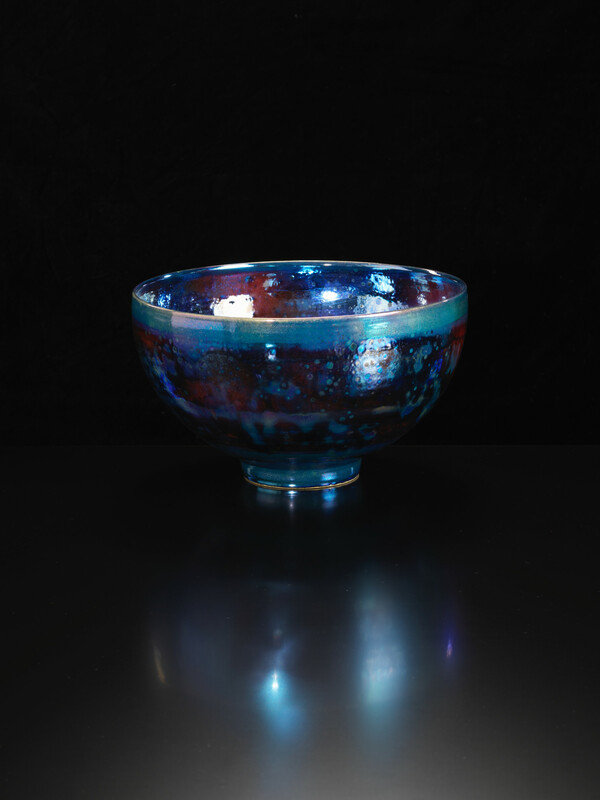 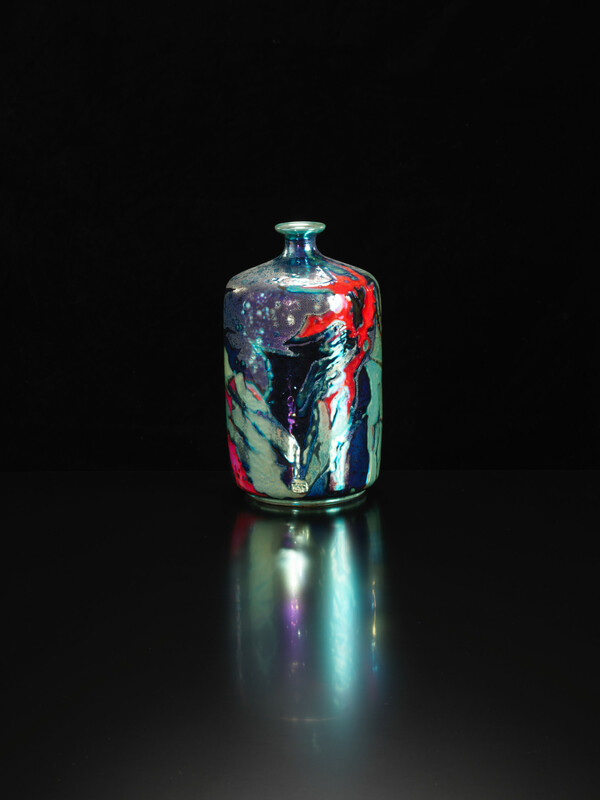 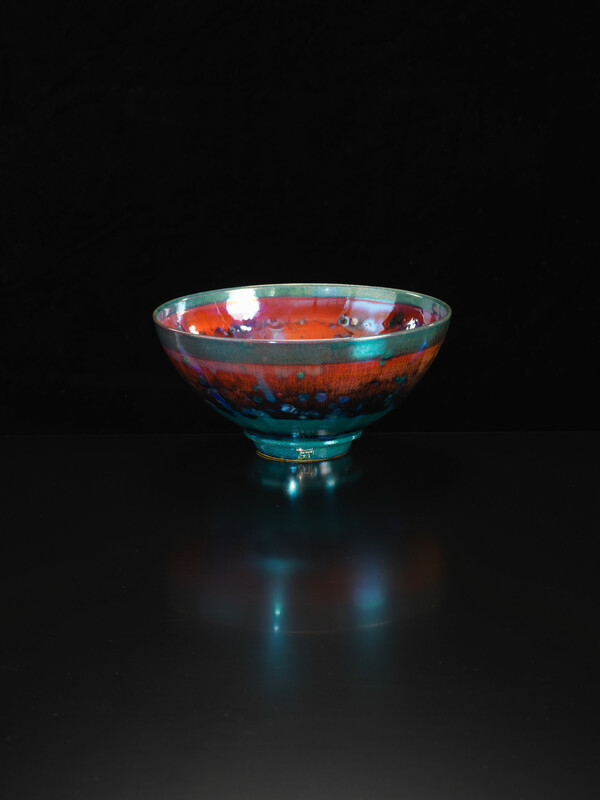 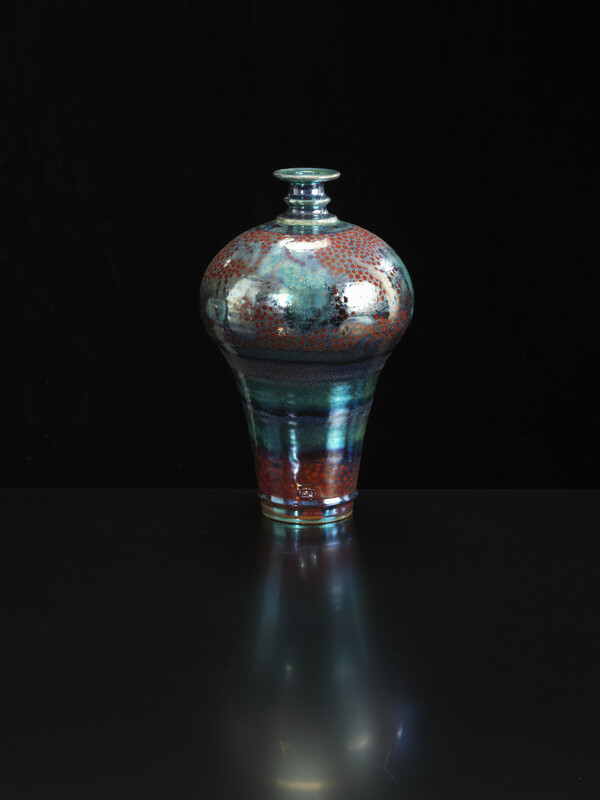 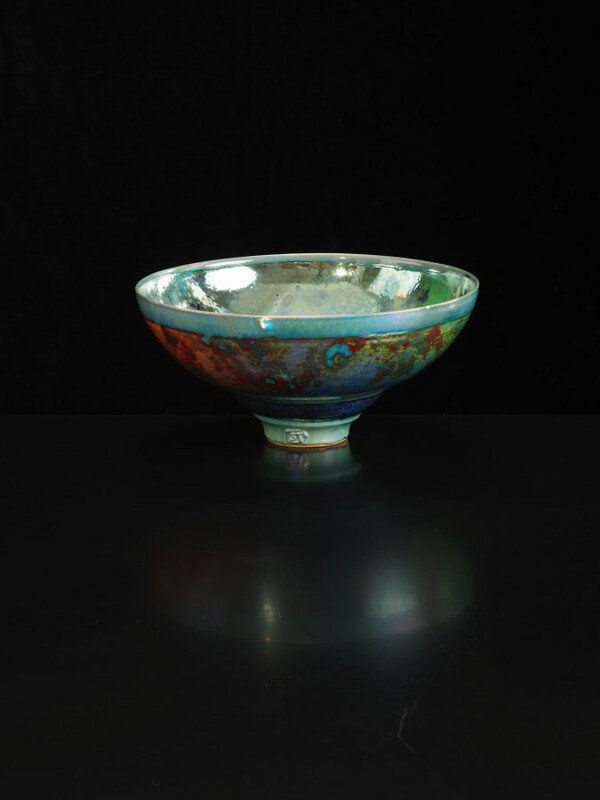 Lustreware is an historically very resonant medium, an ancient pottery tradition with its origins in the Islamic Middle East in the ninth century, and one that can show studio work at its most most spectacular and alluring, particularly as Taylor’s palette has become increasingly brilliant over the years. 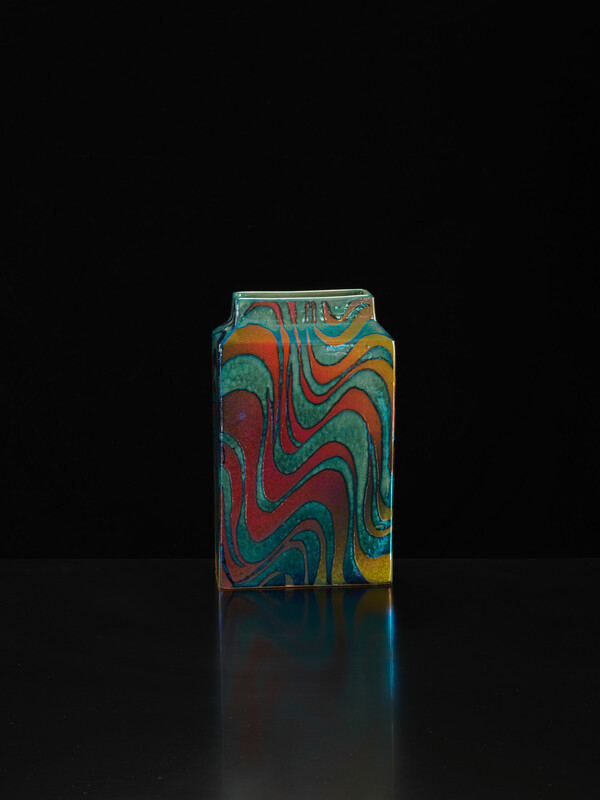 It is not just about a particularly demanding technique, but an aesthetic that Taylor has effectively helped to reinvent for a modern audience. 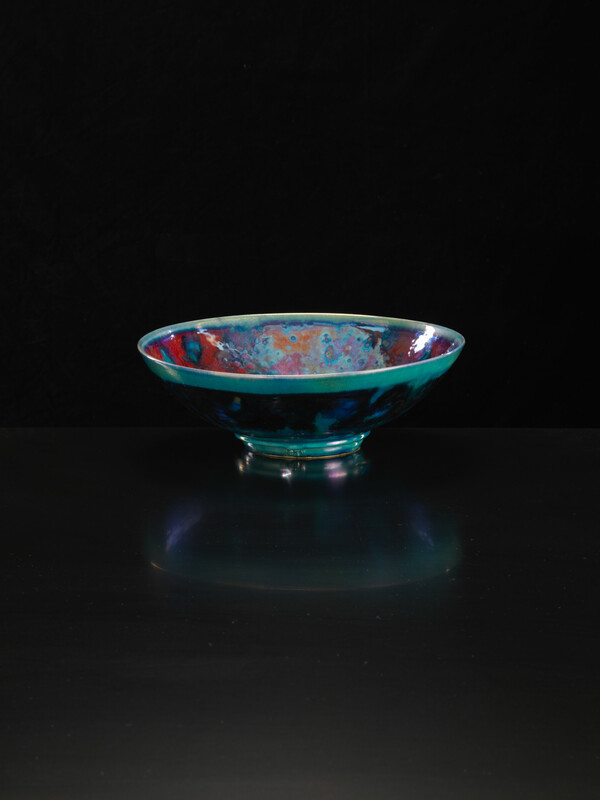 His reinterpretation of this art possesses some of the qualities of form, decoration and drawing that go back to the beginnings of lustre, but with Taylor’s own very abstract vision of the world, a sense of its vivid colours, the sensations and luminosity of landscape, sky and seascape. 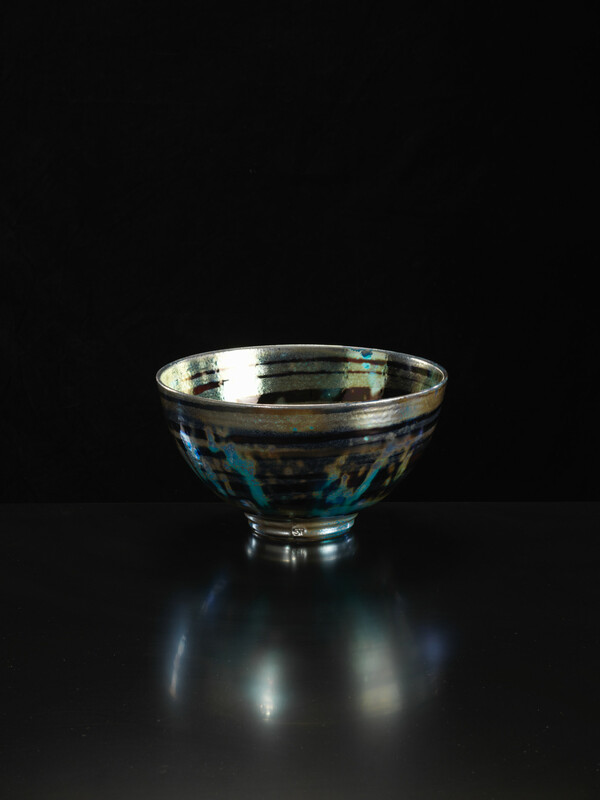 The searching clarity of light in coastal Cornwall seems, if anything, to have brought this vision into a new focus. 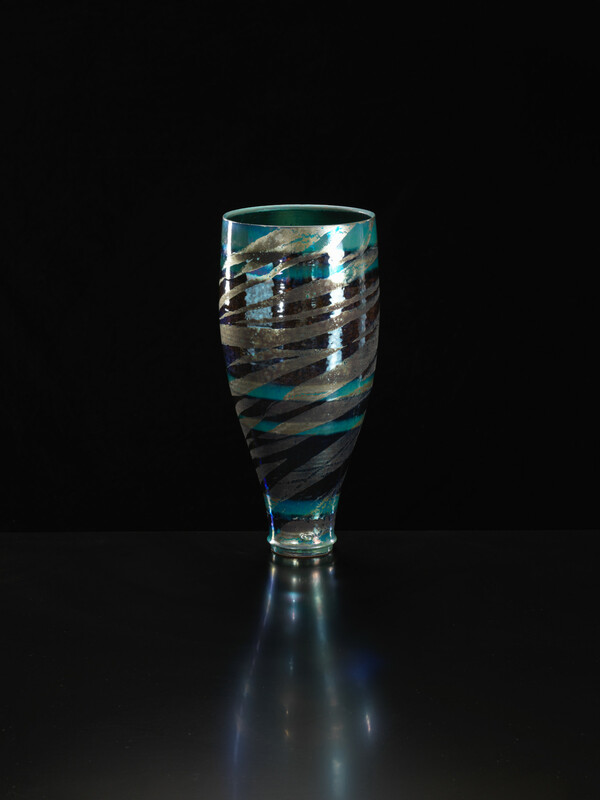 Bridget Riley memorably talked about the scintillations of flickering sunlight penetrating a leaf canopy, and Taylor’s surfaces convey something of this vibrancy and movement. Pots of such effervescence are a great tonic after a particularly long grey British winter, reminding us that, as Matisse said “there are always flowers for those who want to see them”. 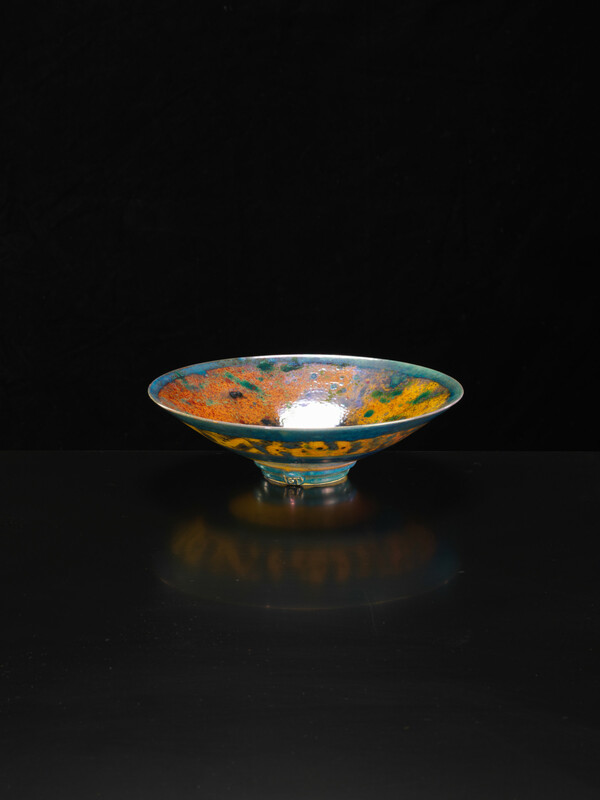 These are pots that bring a great richness, something truly exotic to our living spaces, glowing and radiant in the light.